When it comes to speed, Dolphin is comparable to Chrome. 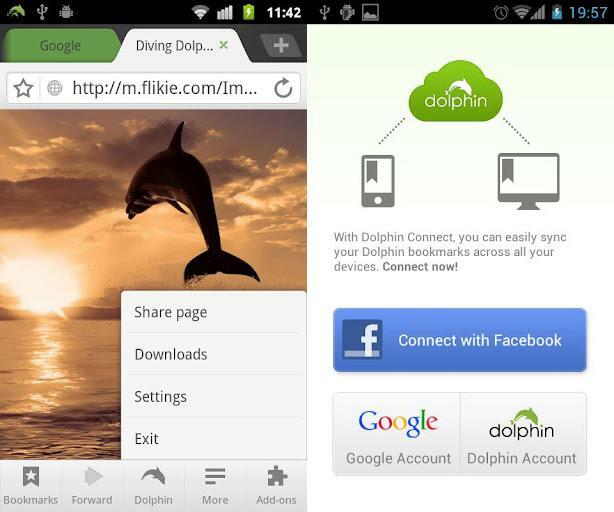 The popular Dolphin Browser has just been updated and it offers Sonar, Gesture, and Add-on support. 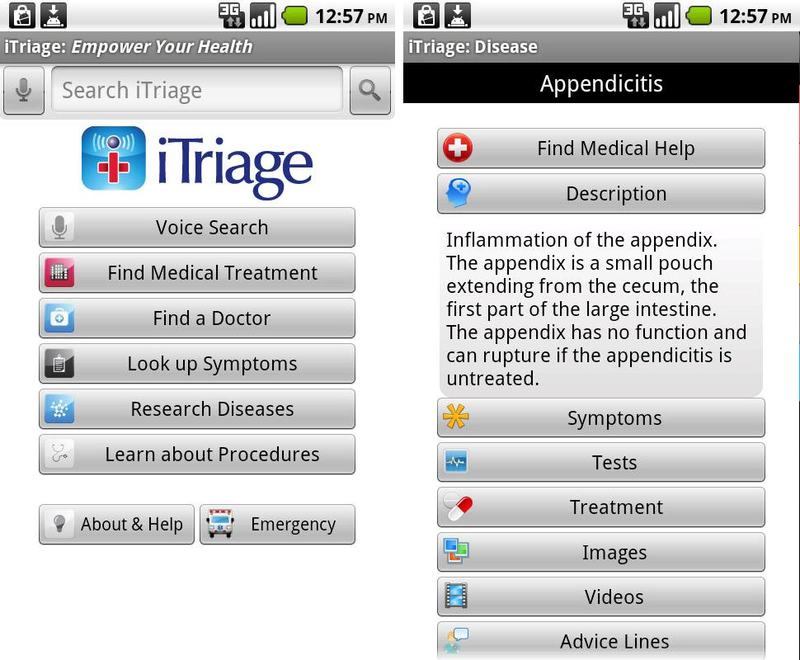 Sonar enables you to search, share, bookmark, and navigate with voice commands. You can create gestures to access specific websites and there are 60 add-ons to choose from. It’s a solid browser with a lot to offer. 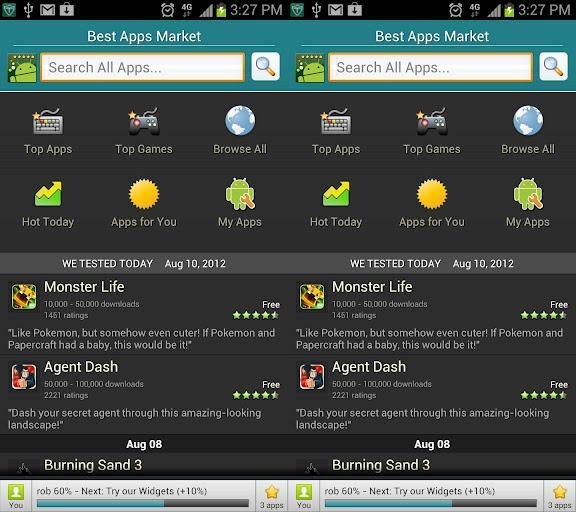 Widgetsoid allows you to create your own widgets for various phone functions. You can create a widget that will allow you to toggle your 4G antenna on and off, or create your own clock widget that can display whatever phone information you want, from battery charge to phone temperature. It’s pretty useful. There is a free and a paid version, which has some added functionality. The default Android Web browser is fine, but if you’re on an Android 4.0 phone (or tablet), you can now download a fully operational version of Google Chrome. 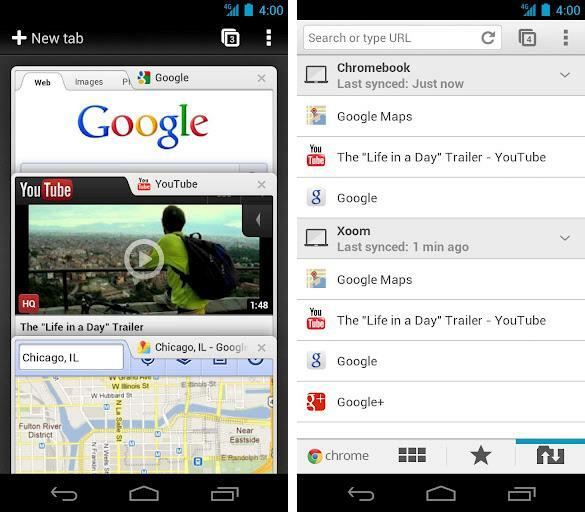 Simply put, it’s the best mobile browser we’ve used, with robust tab management, private browsing, and the ability to sync your tabs from your browser with your phone. 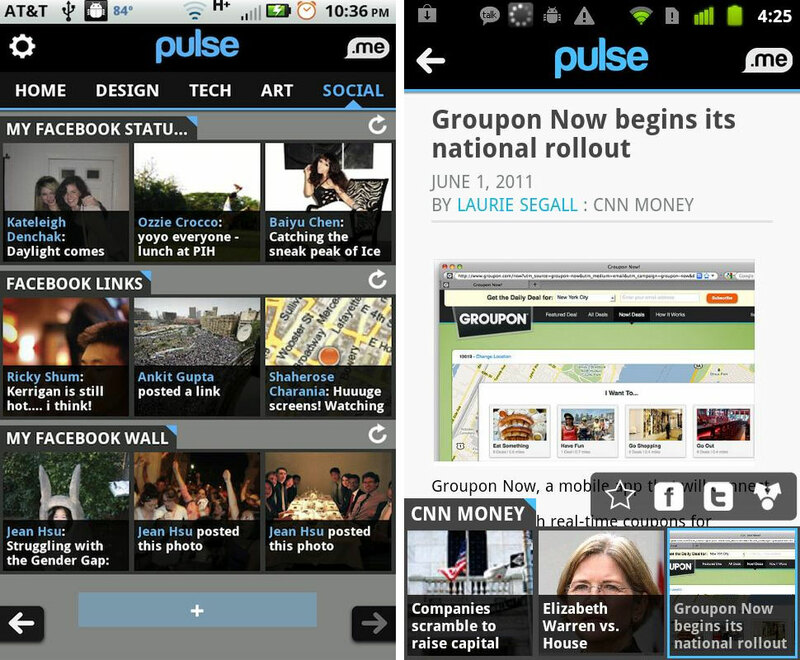 This free app is a great reader for those who like to get their daily dose of news or gossip on their Android device. Pulse lets users select up to 30 online sources to pull from, and then creates clean, magazine-like pages that feature thumbnail photos and headlines from each source. Most articles or blogs can be easily read within the app, and the sources update in a flash. It’s the perfect substitute for your morning or evening Internet scan. Add sources like CNN, Gawker, Salon, Wet Paint, MSNBC, and Mashable. It’s pretty universally accepted that mobile devices, while great tools for plenty of tasks, are not built for extended typing sessions. 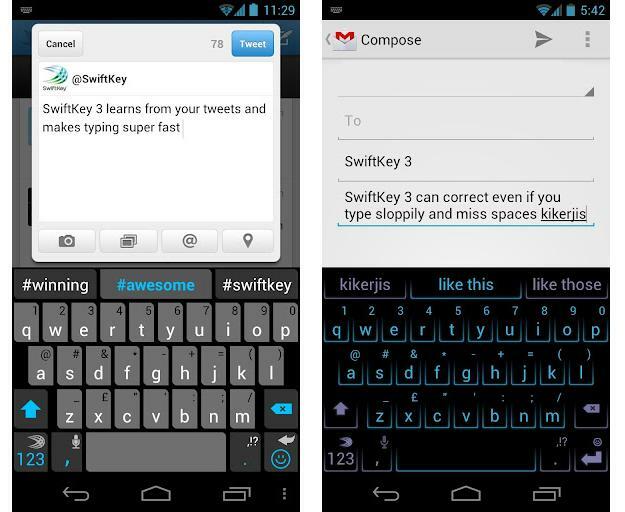 SwiftKey 3 Keyboard challenges this belief and gives the classic keyboard a run for its money. Rather than just focus on spelling or or the word that you’re currently typing, SwiftKey 3 Keyboard looks at the context of your full message and puts together the most logical predictions and corrections. Miss a space, spell a word wrong, or type the wrong usage and this app will fix it for you on the fly.